Rediff.com » Cricket » Royals v CSK: Who will win the battle of supremacy? 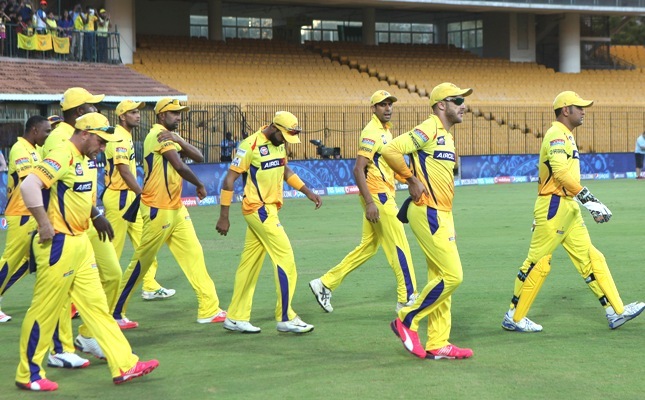 Royals v CSK: Who will win the battle of supremacy? IPL table-toppers Rajasthan Royals will look to extend their four-match winning streak when they take on an unbeaten Chennai Super Kings in their fifth match of the Twenty20 cricket league, in Ahmedabad on Sunday. Sans injured captain Shane Watson, RR have been ably led by Steven Smith in the four matches gone by and have managed a clear eight points. Two-time champions CSK are not far behind as the Mahendra Singh Dhoni-led side has also enjoyed a clean run in its three matches. Playing their second match at Motera, their adopted home ground, RR seem to have ticked all the boxes in all the departments with their top-order batsmen not only coming good in all the matches but also the bowling rising to the challenge. If Ajinkya Rahane scored a strokeful 62 in their previous game against Sunrisers Hyderabad then Smith struck an unbeaten 79 to complete another easy chase against Mumbai Indians. The bowling, led by New Zealand medium-pacer Tim Southee, has also done well with South African Chris Morris, Australia's James Faulkner and Indian talent Dhawal Kulkarni and Stuart Binny making up a potent line-up. 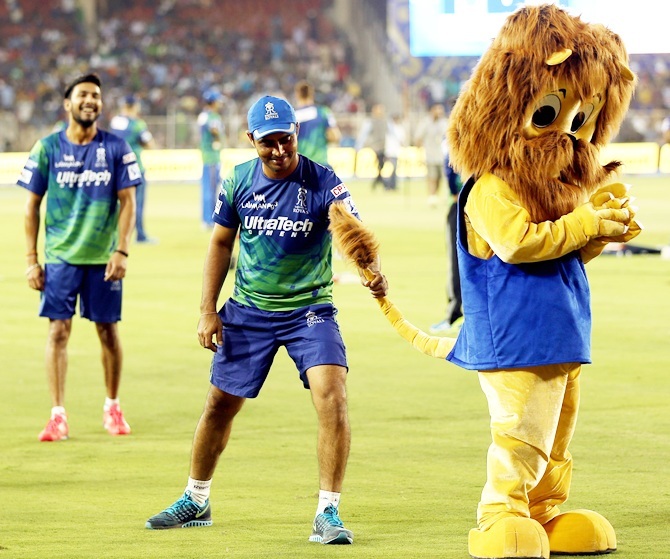 The team has also lived up to its character of backing young Indian talent with Haryana lad Deepak Hooda making his presence felt with the bat against Delhi Daredevils at Feroz Shah Kotla in a close game. The 19-year-old all-rounder is said to be the find of the season as he is also contributing with his wily off-spin. Veteran leg-spinner Pravin Tambe has also picked up regular wickets for the Rahul Dravid-mentored side. CSK, on the other hand, have also had a smooth run so far after their opening one-run win against DD at the Chepauk. New Zealand opener Brendon McCullum set the tone with the first hundred of the season, in the team's second game against SRH, and the top-order found the right inspiration. Dwayne Smith, Suresh Raina and Dhoni have all contributed when it mattered. The bowling, led by Ashish Nehra, has also looked potent with Ishwar Pandey, Mohit Sharma and Dwayne Bravo getting the necessary breakthroughs. Of the 13 matches played between the two teams, CSK have managed to win 8 while RR have won 5 but with the No 1 and No 2 side locking horns for the first time this season, it will surely be a battle of supremacy.